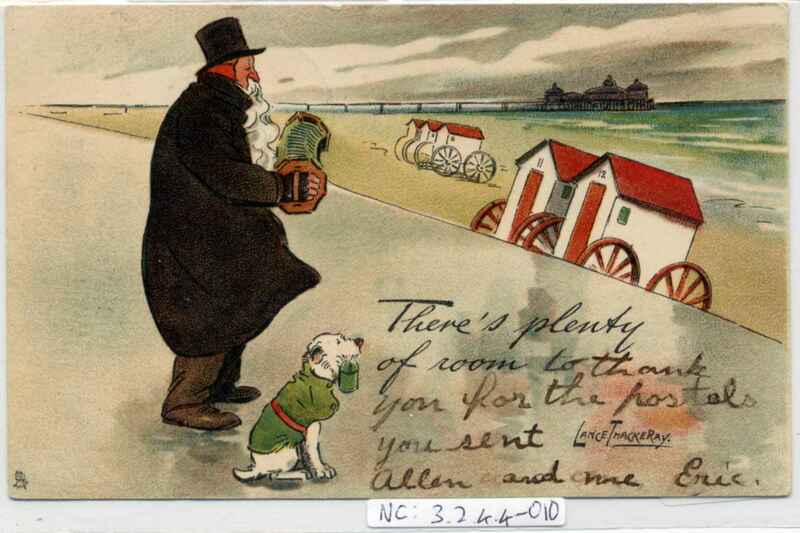 Full Description: A humorous postcard of a well-wrapped fellow playing his octagonal many-bellowed concertina to his dog at an empty beach. He comments "There's plenty of room..." after which the person using the card adds their own comments. Small Front stamp "Lance Thackeray". Divided rear, postally used from Monson, Mass, USA, franked Nov 1905, Card by RaphÆl Tuck and Sons' Write Away series No 1765.